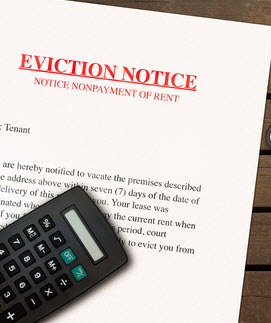 As a landlord in Alabama, it is crucial that you stay abreast of all the changes in legislature regarding evictions and other lease requirements, otherwise you may unwittingly forfeit many of your rights as a property owner. While it would be in your best interests to consult with a knowledgeable real estate attorney every few months, and especially when taking on a new tenant, there are a few changes to the Alabama Uniform Residential Landlord Tenant Act (§ 35-9A-101, et. seq.) that may require you to take action sooner rather than later. These changes went into effect on June 1, 2018 and will require you to modify your existing notices and procedures regarding evictions and breaches of the lease. Prior to June 1, landlords were required to give tenants seven calendar days to cure a nonpayment-of-rent breach. However, the amendments have changed the notice period, and now require landlords to give tenants seven business days. While this may not seem like a huge deal, failure to change your lease agreement to reflect these changes may mean that you forfeit your rights to evict a tenant at all. 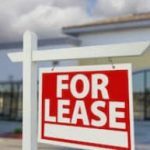 If you wish to retain your full rights as the property owner, you need to modify your lease agreements to inform tenants of the extended notice period. Using, manufacturing, possessing, furnishing, importing, or discharging an illegal firearm ammunition on the premises of the rental property, except in cases of self-defense. Prior to the June changes, Alabama law allowed tenants the opportunity to cure a breach of the lease unrelated to rent up to four times in a 12-month period. 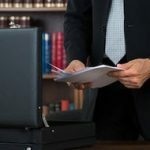 However, the law has reduced the number of times a breach may be cured from four violations of the same offense down to two in a year’s span. These violations typically include things such as noise complaints, having overnight guests, keeping animals on the property, etc. The tenant has the opportunity to cure the same breach twice within seven calendar days, not business days, and, upon the third violation, you have the right to terminate the lease right then and there. Not only has the number of times a person can cure the same breach within a 12-month period been reduced, but also the frequency with which the same breach has been committed may qualify as grounds for termination. The amendment states that if a tenant commits a violation involving “substantially the same acts or omissions” as one for which you have provided notice within the past six months, you do not have to allow the tenant time to cure said breach. However, because this is just the second breach, you still have to give the tenant seven calendar days to vacate the premises before following through with eviction proceedings. This is perhaps the most surprising of the changes to the landlord/tenant act, as, up until recently, Alabamians have been strong supporters of the second amendment. With the uptick in school shootings and other public massacres, however, Alabamians have begun to change their stance, which is evident by the passage of § 35-9A-421(d) (2). This provision of the act makes the lawful possession of a firearm or ammunition on the premises of a rental property grounds for termination. What makes this provision especially surprising is the fact that an otherwise law-abiding citizen runs the risk of being evicted for legally possessing a firearm. Had a gun holder known of this law prior to signing a lease, he or she could have willfully walked away from a contract and found somewhere else to live. As it stands, a landlord can change its lease agreement today and go around evicting tenants tomorrow. If you have yet to make the necessary changes to your lease agreements, reach out to Cloud Willis & Ellis to discuss changes with our Alabama real estate lawyers. Our team can help you draft a new lease agreement that contains the necessary and optional provisions and ensure that you are able to evict a tenant should you feel it necessary to do so.